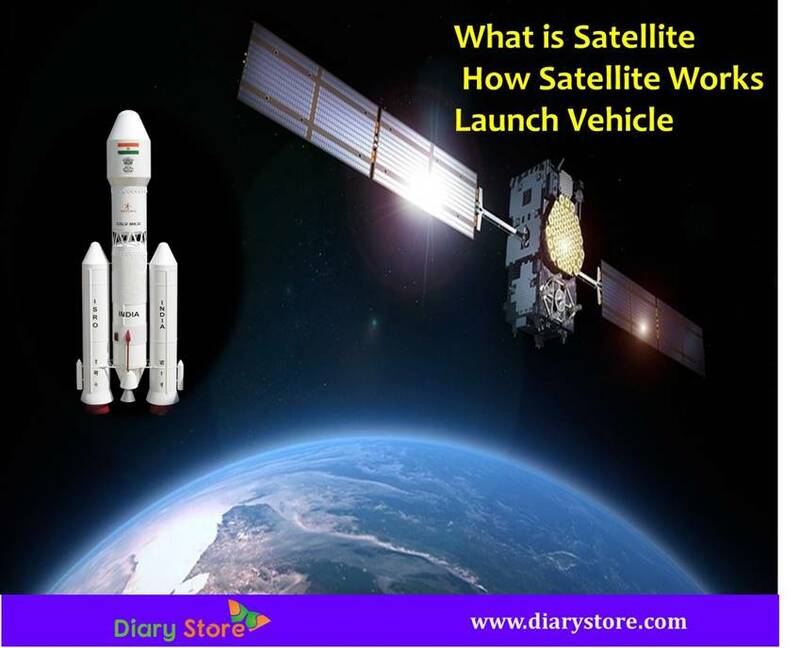 Satellite is an man made object which has been send to the orbit. Satellites are of different sizes and shapes and perform a variety of roles, depending on the objectives of their missions. Satellites will help us in many ways such as communication, military, navigation, weather forecast, education and more. The main feature of communication satellites is transponders. A satellite is equipped with hundreds and thousands of transponders. Communication satellites allow telephonic and data conversations to be broadcast through the satellite. A radio receives conversation via transponder at a certain frequency and then amplifies it and retransmits it back to earth on another frequency. Weather satellites help to see the effects of weather at different places across the globe at a particular moment, apart from informing the changes in weather in the next few days. The satellites have cameras that can capture the photos of clouds above earth and send relevant information to enable to make weather forecast either from fixed geostationary positions or from polar orbits. Military satellites keep the actual application information secret. Applications may include transmission of encrypted communication, observing enemy movements, eaves dropping terrestrial radio links, radar imaging and photography. These provide the basic data for long term navigation system to determine with accuracy geodetic position, speed and direction of a surface vehicle or aircraft. 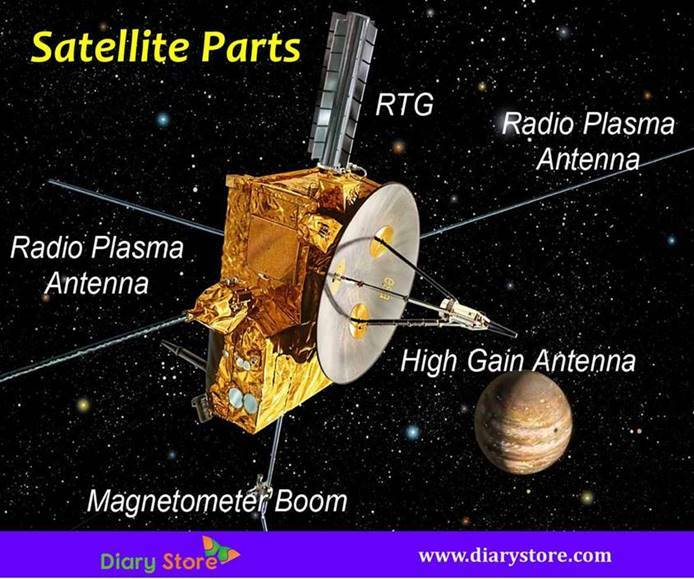 What Are The Key Parts Of A Satellite? Satellites have mostly two main parts, power source and an antenna. The antenna receives and sends information continually from the earth. Satellites carry scientific sensors and cameras. The power source can be a battery or solar panel. Solar panels produce power by turning sunlight into electricity. Camera and sensors point towards space to collect data from the solar system and universe and sometimes point towards earth to gather information about its air, water and land. Satellites can scan large areas of earth at one time. Hence, satellites can collect data more quickly than instruments on the ground. Television signals and phone calls are sent upward to a satellite. Then the satellites send signals back down to different locations on earth. How Do Satellites Orbit Earth? Satellites are launched into space through rockets. Satellites orbit earth with different speeds, at different heights along different paths. The two most popular types of satellite orbits are polar and geostationary. Polar orbiting satellites travel from north to south direction from pole to pole. As earth spins underneath, polar satellites scan entire the globe in a single trip. A geostationary satellite travels from west to east. How Satellites Are Launched Into The Space? There are two types of satellites launch vehicles expendable rockets and space shuttles. Expendable rockets are destroyed on completing their mission while the space shuttle is reusable. Expendable rockets for communication satellites have three stages. In the first stage, a mixture of hundred thousand pounds of liquid oxygen and kerosene is burnt up as the rocket lifts off the pad with ear-splitting noise and rises to 50 miles above sea level. In the second stage, the rocket further rises to 100 miles and in the third stage places the satellite into the transfer orbit. After the satellites are placed in their transfer orbits, the mission of rocket is complete and it falls to earth. Shuttle performs the same functions of first two stages of expendable launch vehicle. In the third stage after placing the satellites into the elliptical transfer orbit, shuttle returns to earth for refurbishing and reuse. Satellites seldom collide with each other because their launching times are different, the final altitudes in their orbits are not the same and their predetermined paths are different, though they move in the same direction. As more and more satellites are launched into space every year, the chances to crash with each other are still bleak due to vastness of space and different paths of their rotation. However, in February 2009, one Russian and an American communication satellite collided in space. This is the first time two manmade satellites have collided accidentally. Scientific community across the world has been seriously discussing about traffic congestion in space and avoidance of collisions as space debris gets thicker each year with increase in the number of defunct satellites and other obsolete tools of space probe.